Allen Harris is the Graphic Designer/Production Editor for Arms Control Today, the Arms Control Association’s highly respected flagship publication. 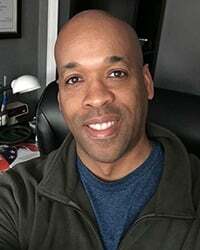 Prior to joining the Arms Control Association, Allen was the Graphic Designer / Production Manager for MilitaryLife Publishing. He has many years of experience designing magazines, advertisements and marketing material in the military retail industry. Allen holds a B.A. in Visual Arts from Rutgers University.